Has anyone ever asked you this and listened to your answer? I am really asking you? What is it? Is it something just for now or is your desire vast? Or both? Please share. This blog is going to be personal. I came in this time with a longing for the Divine. I chose a family who went to mass every day. We said the rosary together every nite for years. I was encouraged to read books on the saints and collect holy cards. Yet is was more than that. I loved being in churches when no one else was there or only the person practicing the organ, We had a big pipe organ, heaven. I was weird but somehow managed to balance it out with being good at sports. I was one of 6 children so we had lots of outdoor time for my mother’s sanity. No matter what the weather was like we had bicycles, ice skates, sleds, and roller skates. We had balls of every kind. I received a football for Christmas one year because I asked for it. We used all these various toys or equipment. As I grew up people kept telling me I should model. I thought I should not because of any desire or knowing what that meant, but because so many people told me I should. Or maybe because I designed my own clothes from the age of 10. Thank God I got sidetracked by the hippie movement and fell into the arms of yoga instead of my own vanity about something that I didn’t design, my face. I took care of my body and I got a good one. This was supported by the grace of a mother who feed us good food and not sweets, etc. A mother who for self-preservation put us outside until it was our turn to practice the piano. Drugs took me to the Tibetan book of the dead. Gave me experiences of vastness that I wanted as my reality. I did know that my body couldn’t take the continual abuse of the drugs and hated feeling so emotional after taking the drugs. My response to that …….I just stopped coming down period. 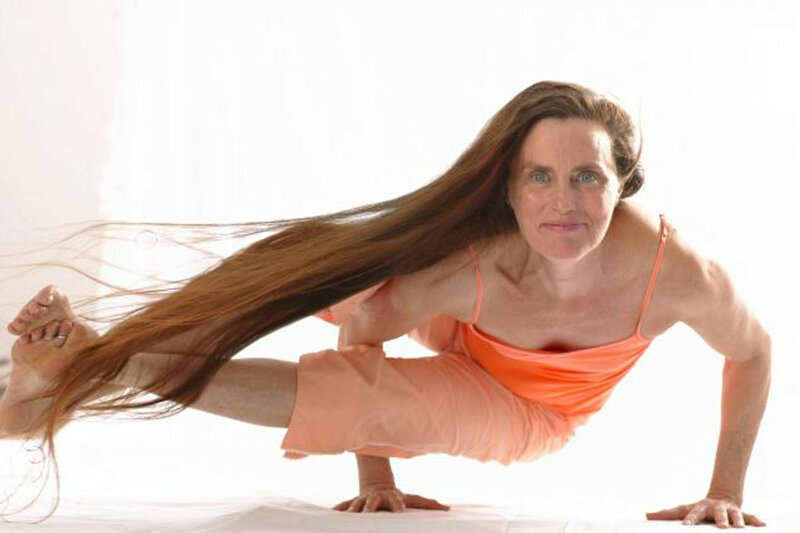 Then I fell into the lap of yoga and really within a couple months quit drugs, smoking, and everything else. I found I could get high and connected without killing my physical body. I didn’t have to sacrifice my body to feel connected to God. Can I tell you it was presto liberated. Ha ha ha even though Yoga Bhajan did tell us 40 days of 2.5 hrs of long Chant and we would be liberated. It was long after 40 days that he asked”Do you feel liberated?” He knew how to activate us. I want to activate you. Please share your deepest longing with you and then me and let us see what can take you there. This is why we are here so why not take the time to look this question in the eyes and heart and listen to the answers that can and will come.